What is BB-8's secret mission? 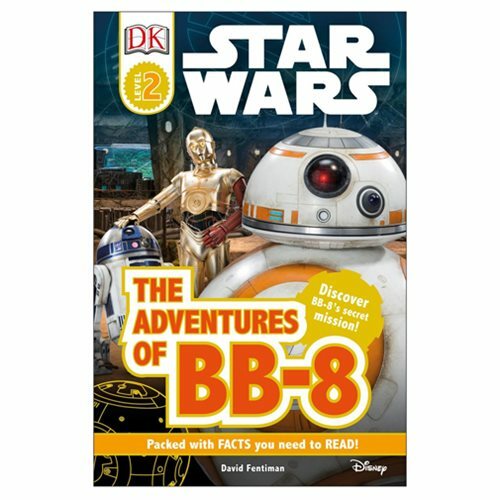 The fate of the galaxy depends on BB-8 in this 48-page Star Wars: The Adventures of BB-8 DK Readers Level 2 Hardcover Book. Follow brave BB-8 as he gets caught up in the battle to save the galaxy. Learn about the heroic Resistance and the sinister First Order. Meet the droid's new friends and see them join together to defeat evil! Ages 5 to 7. Measures 9 3/10-inches tall x 6 1/2-inches wide. Perfect for 5 to 7-year-olds beginning to read fluently with support, Level 2 titles contain carefully selected photographic images to complement the text, providing strong visual clues to build vocabulary and confidence. Additional information spreads are full of extra fun facts, developing the topics through a range of nonfiction presentation styles like diagrams and activities.